A button to disable credit card information has been added to the Contact page and the credit card information page. Once a credit card has been disabled, it can no longer be used to complete transactions in the point of sale system. This is useful for removing expired cards, or if a card was used for a one-time purchase but should not be used for purchases going forward. PerfectMind is now integrated with Chase Paymentech for payment processing in both Canada and the United States, including EMV terminals. This integration is fully PCI compliant to maintain PerfectMind’s PCI Level-1 status. We have added a new Appointment Attendance Report to show all attendees for a particular service or calendar. 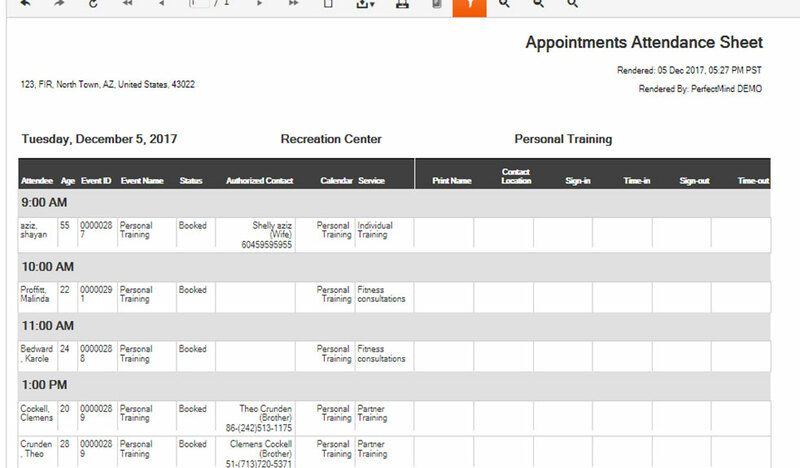 For example, if Personal Training and Group Training events are contained within the same calendar, you can run the Appointment Attendance Report to show all Personal Training events, all Group Training events, or all Personal and Group Training events. Additionally, a column can be added to show specific family members of the attendee – this way you can have easy access to emergency contact information, or show the list of authorized family members to pick up a child from a day camp. Amounts due on the current day are now included in the past due amount notification on the client page. This helps to provide staff with a more accurate account balance at a glance when assisting customers. Previously, event alerts would only show after a new attendee had been added to an event. Now, event alerts will pop up when you open the Event Roster page, eliminating the need to add an attendee to view relevant alerts. Event ID has been added to the header of the Event Roster page. This helps to differentiate between multiple events with similar names, and is used to confirm registration for the right event since the Event ID is published in print and online program guides. The search functionality for attendees has been improved when completing a Quick Entry appointment. More customer information will be shown in the search results to ensure the correct attendee is selected for the appointment, including full name, ID number, phone number, and email address. List View for events has been updated to include a column for Course Description. Additionally, the Start Date column has been changed to Date, which now displays both the start and end dates of an event. An optional button has been added to the Quick Entry screen when adding a new event to launch the full contact creation process. If enabled, this button provides the option for staff to enter more complete information for a new contact instead of the minimum information required for the quick contact creation. 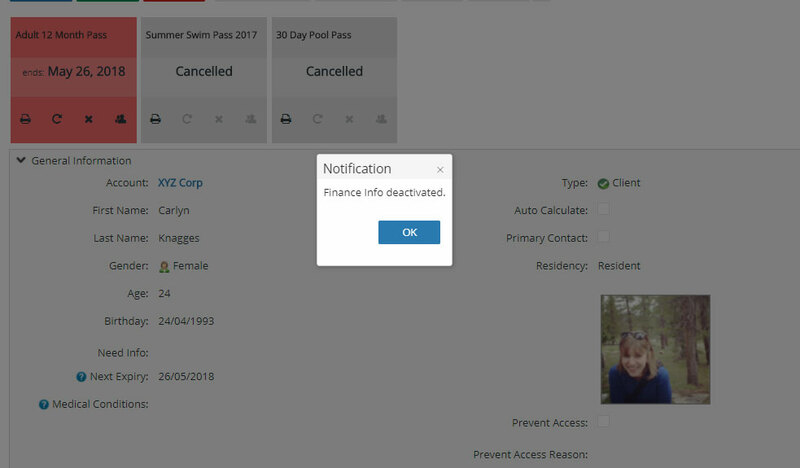 Separate cancellation reasons can now be set for events, memberships, and facility bookings. When creating a cancellation reason, staff will be able to select the types of bookings that reason will be available for. This enables staff to create more specific cancellation reasons for each booking type, and provides more accurate cancellation reports. We have renamed the Zip Code portion of the address block to Zip/Postal Code. This makes completing the address block clearer for our Canadian customers. We have added an Email column to the Event Roster report. This helps to differentiate between multiple customers with similar names.